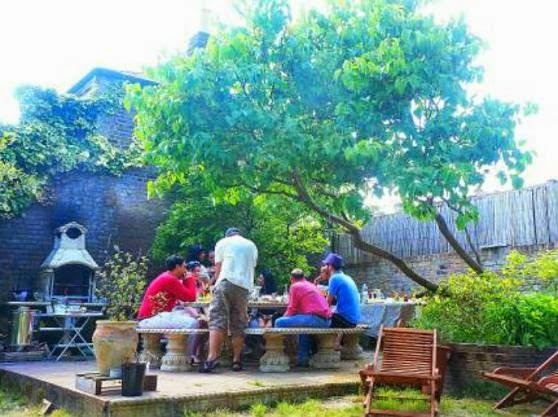 This Sunday That Hungry Chef, aka Pratap Chahal (ex Gordon Ramsay at Claridges) cooks an afternoon barbecue for a small (ish) group in the garden of his house in N&, near the Holloway Road. Plus it's BYOB! Do it! "You haven't had a BBQ like the one at Pratap's. There's a wood-burning grill AND a tandoor oven - giving you the chance to have a go at making your own naan and tandoori kebabs. Not to mention the hammock and couch by the water for a little doze! Set in Pratap's beautiful secret garden, there's complimentary beers or pimms (3 per person) and soft drinks as well. "